Noel Marine Supplies and Firearms is owned by Noel Builders Inc., a family run corporation founded in 1985 by Nolan and Ellen Rossi. 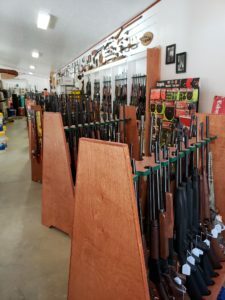 We offer a full line of commercial fishing and marine supplies and new and used long guns and handguns as well as a sizeable selection of ammunition. Business hours are Monday through Friday 8am to 4pm. 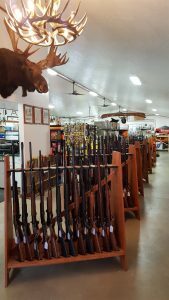 We stock a large selection of over 350 rifles and handguns and a sizeable selection of ammunition, even some hard to find calibers. 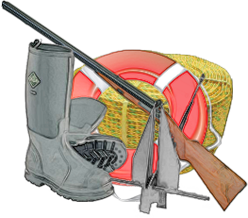 We also stock an ever expanding supply of commercial fishing supplies. Noel Marine Supplies was established in January 2000 at a location on the Wyman Road in Milbridge. Noel Firearms was added in 2002. That location served us well for 12 years until we outgrew the old two room school house building. 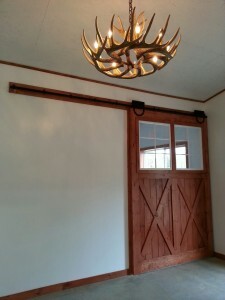 Even though we miss the charm and feel of the old school house we were excited to build a new, modern facility at our current location in 2013. We brought the majority of the antiques that adorn the walls with us since many of our customers enjoy reminiscing and telling stories about “the good old days”.